When she set out on her college search, Cori Krause was excited to see more of the world outside Raleigh — which meant the city’s universities were at the bottom of her list. A visit to the NC State campus changed that. Four years on, she’s finally headed farther afield, to Arlington, Virginia, and the Department of the Navy. 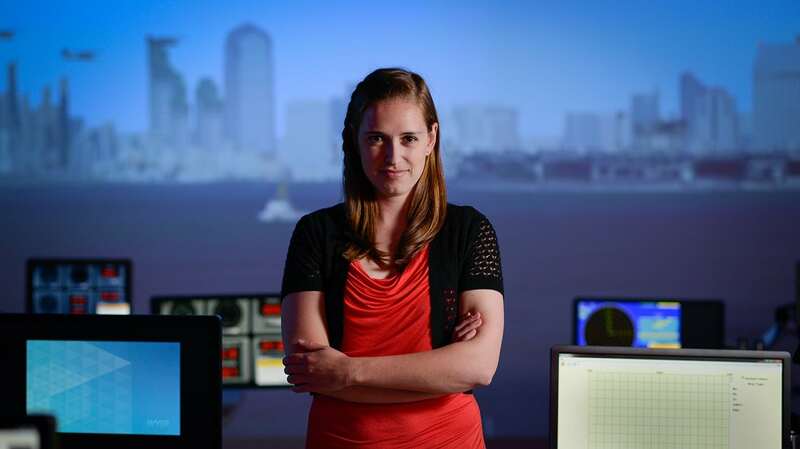 Krause, who graduated earlier this month, will be putting her major in mathematics to work as a cost analyst, helping the Navy to plan its projects and spend its resources wisely. It’s a dream opportunity for a civilian who once considered enlisting and has always been on the lookout for federal jobs. An event put on by the Career Development Center at NC State alerted Krause to the government’s Pathways program for recent graduates. She also credits the university with broadening her horizons through the University Scholars Program and the events she attended as a College of Sciences Student Ambassador. In her first year at NC State, she resided in the Women in Science and Engineering (WISE) Living and Learning Village. NC State may have convinced Krause to spend four more years in Raleigh, but now she’s eager to put her skills to the test where it counts.